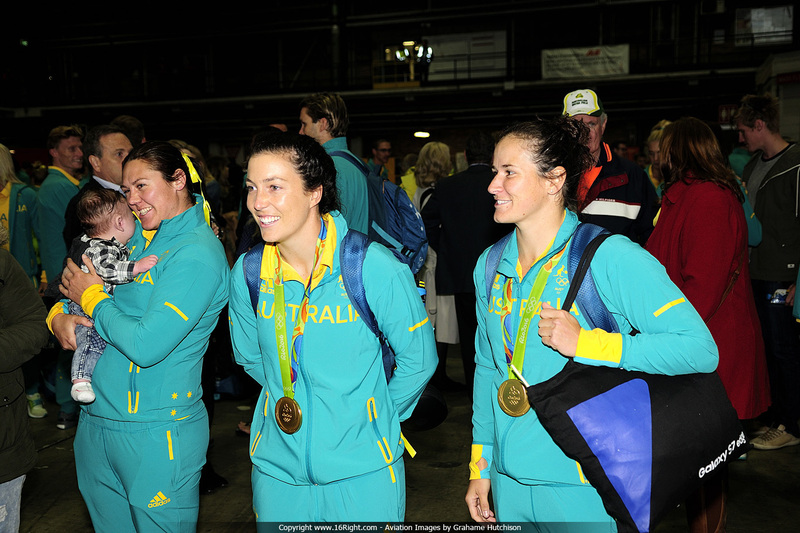 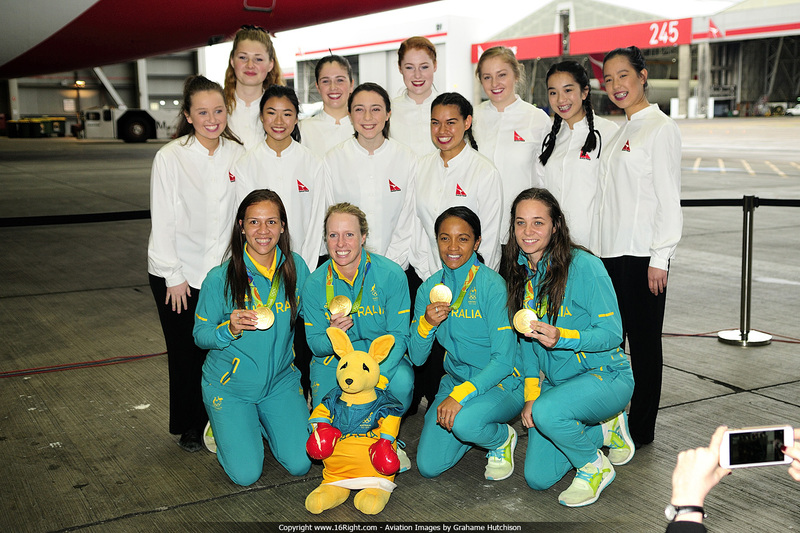 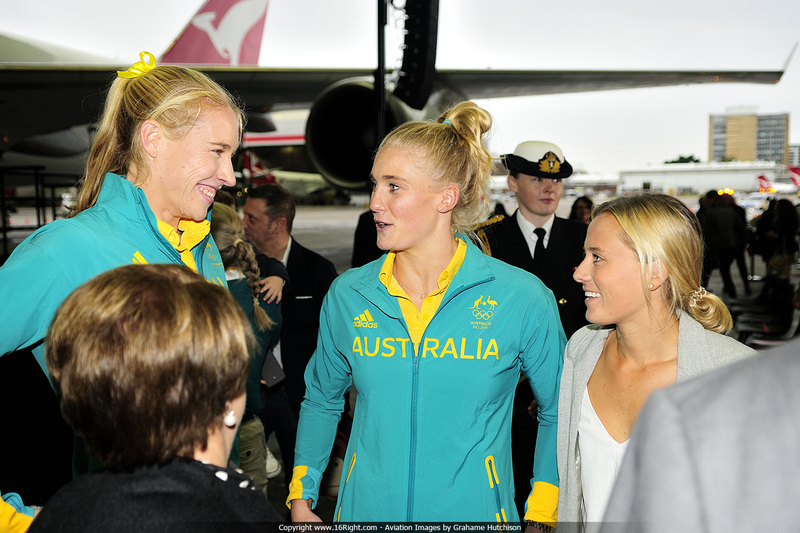 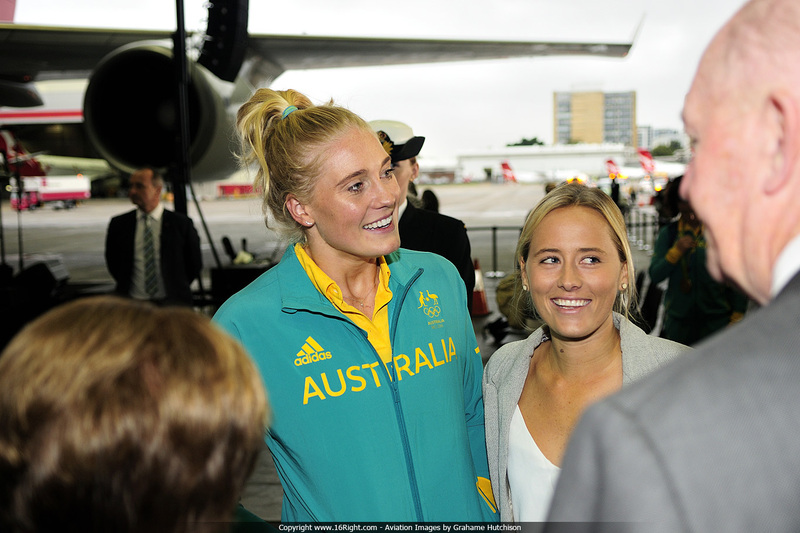 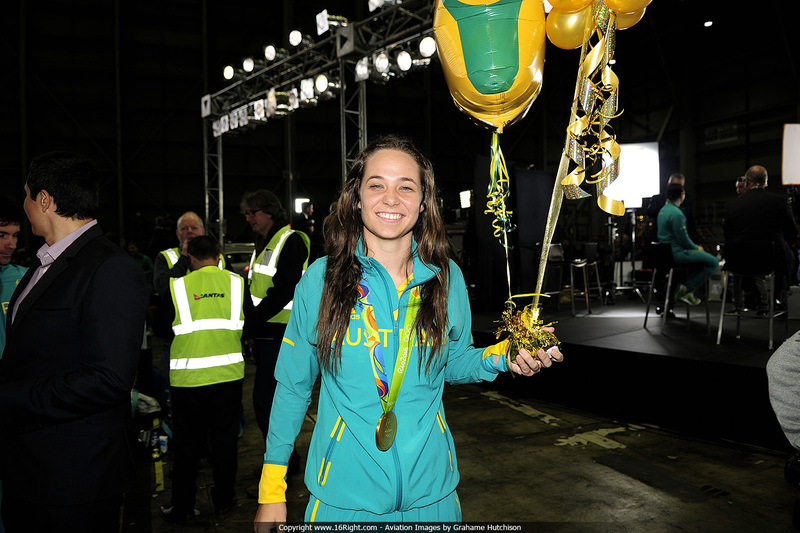 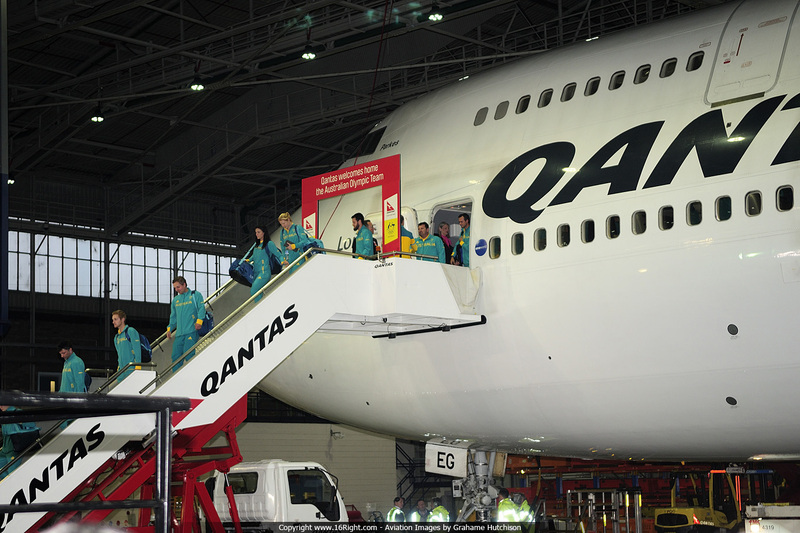 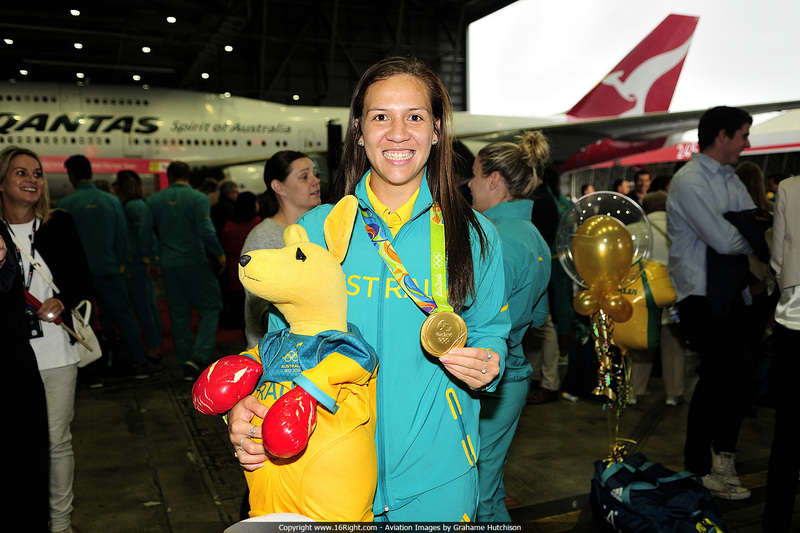 The Australia Rio 2016 Olympic Team arrived home this morning on a special Qantas Charter flight from Rio De Janeiro via Santiago in Chile. 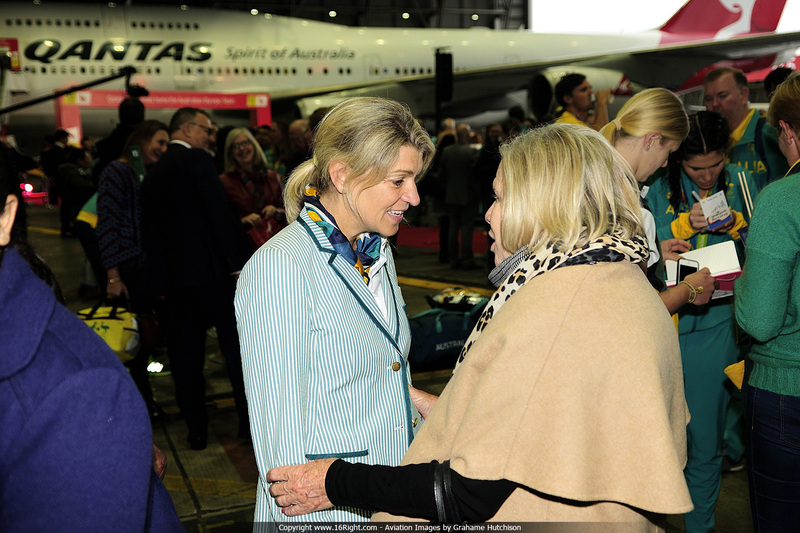 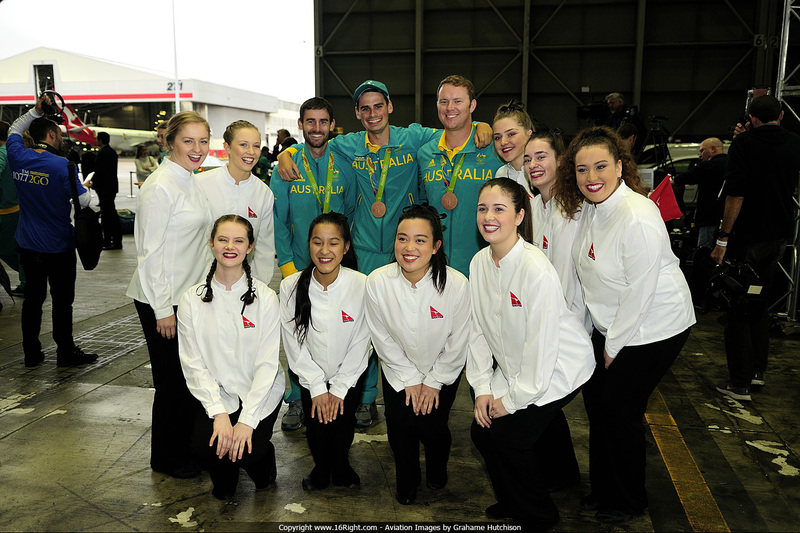 Qantas Hangar 96 was the "Welcome Home" venue, and family, friends and the media were assembled awaiting the arrival of the aircraft. 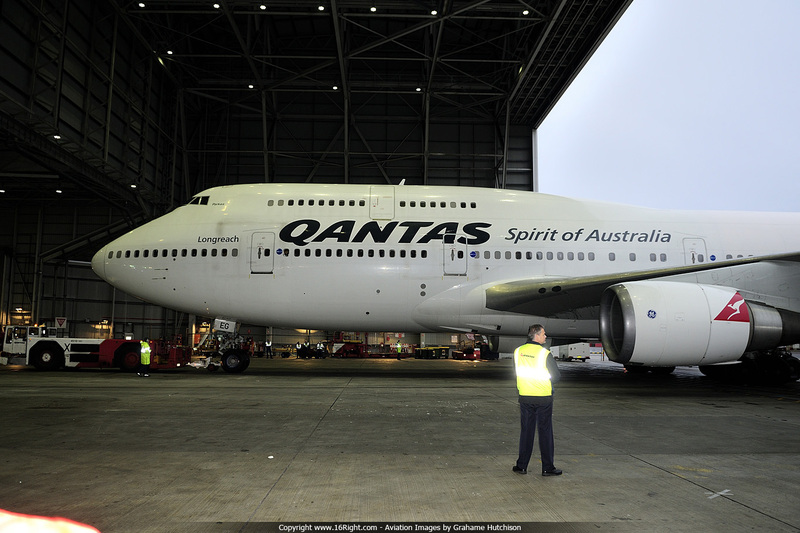 After VH-OEG touched down on Runway 16R, it taxied directly to Hangar 96, where it shutdown, and then towed inside the hangar. 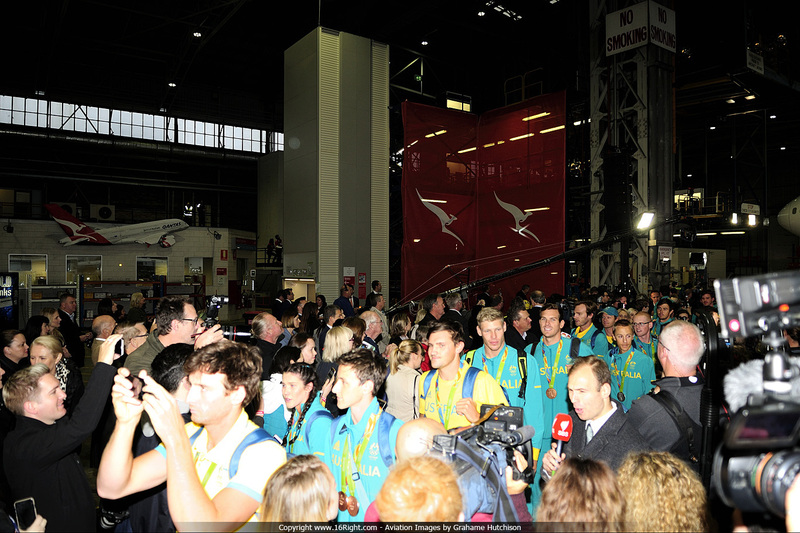 The Athletes stepped off the aircraft onto a red carpet, and once they had all been reunited with their Family and friends, the official welcome ceremony began. 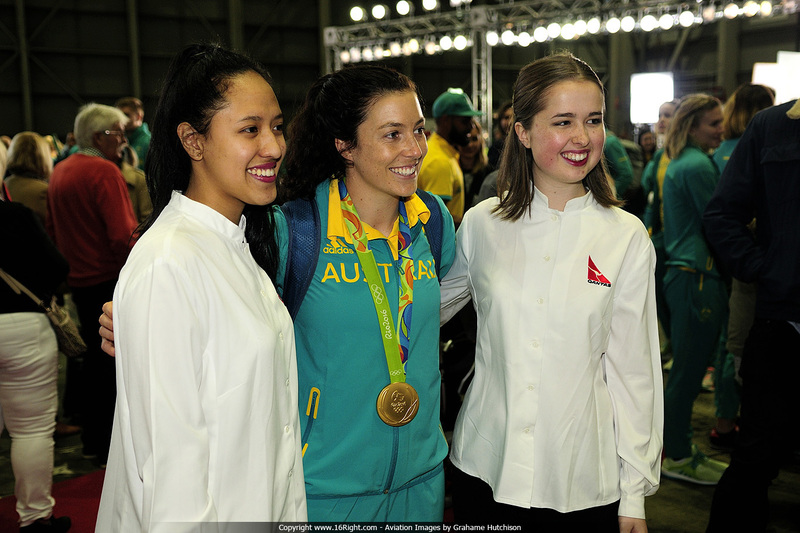 Following the formalities, the official party mingled with the Athletes in an informal but exciting setting. 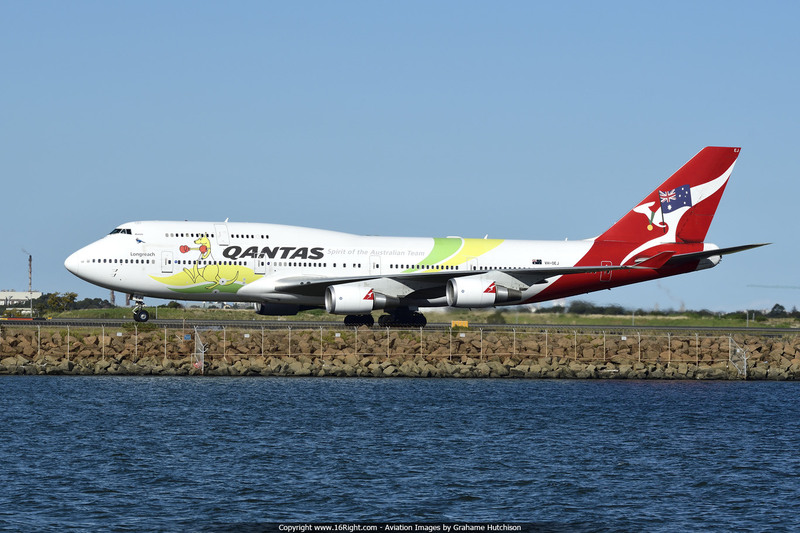 Qantas Boeing B744 VH-OEJ had special Olympic Decals applied for the special Olympic Charter Flight, however days before it was scheduled to operate the service, it suffered a technical issue in San Francisco, and B744 VH-OEG was brought in as a last minute replacement. 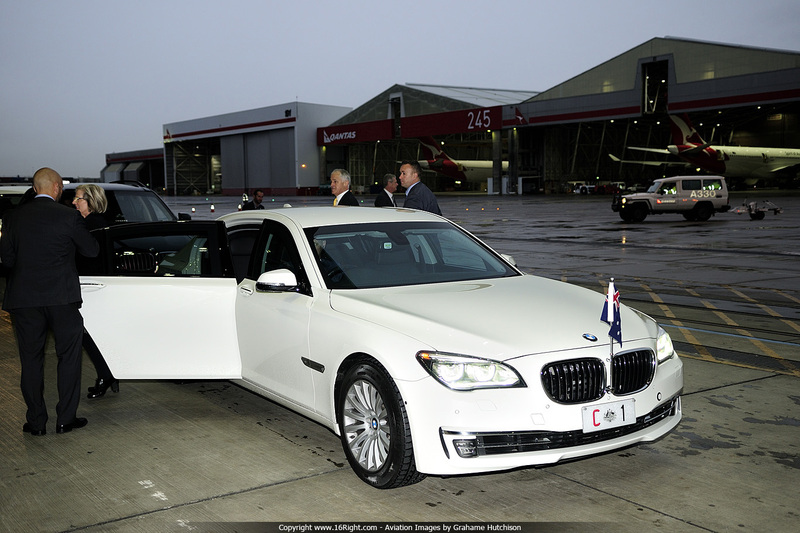 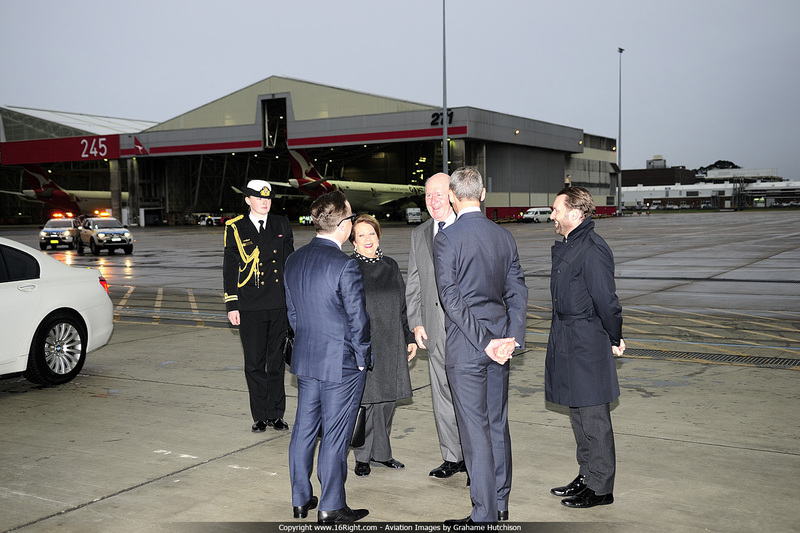 Prime Minister Malcolm Turnbull, and wife Lucy, arrive at Qantas Hangar 96 for the Welcome Ceremony. 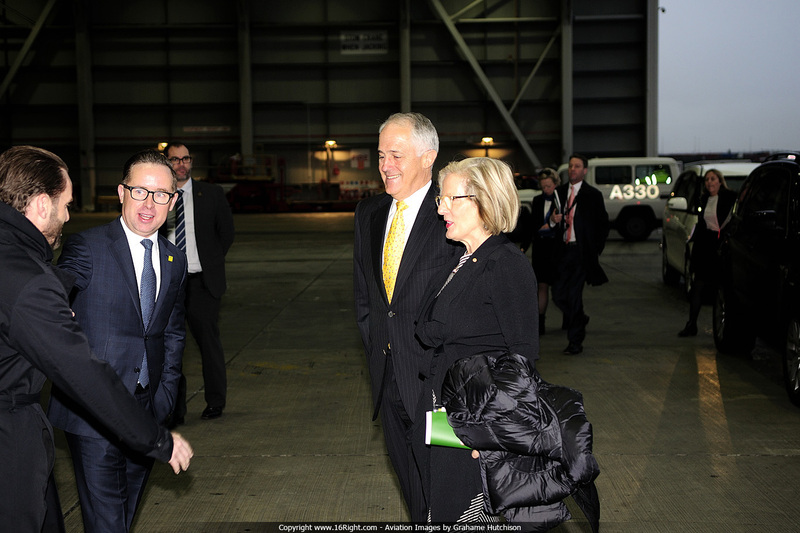 Prime Minister Malcolm Turnbull meets Qantas CEO Alan Joyce. 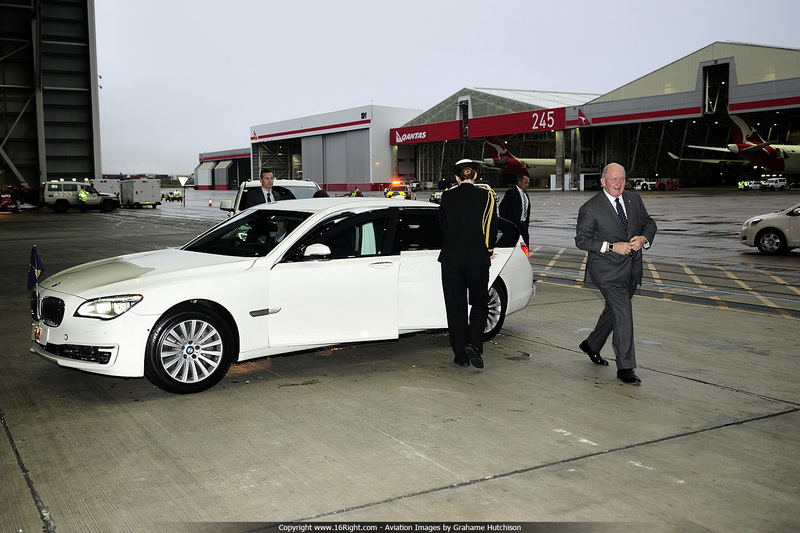 Governor General Sir Peter Cosgrove arrives for the Welcome Ceremony. 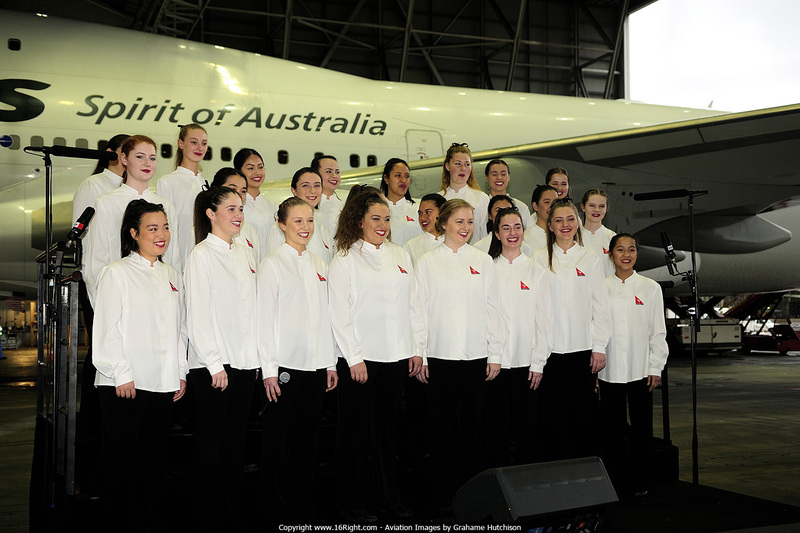 Qantas Boeing B744 VH-OEG operated a special charter flight QF6032, to bring the Australian Olympic Team home from Rio de Janeiro. 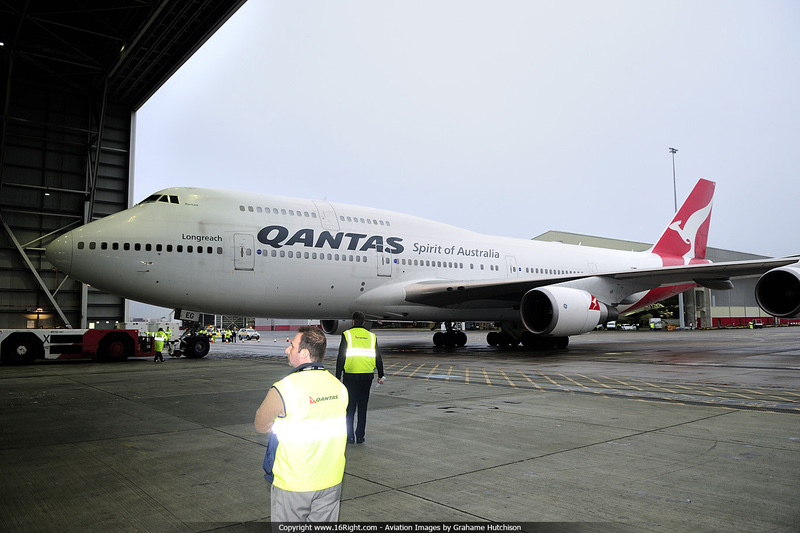 The aircraft taxied straight to Hangar 96 after landing on Runway 16R - customs and baggage would all be handled in the building next door, after the Welcome Ceremony was over. 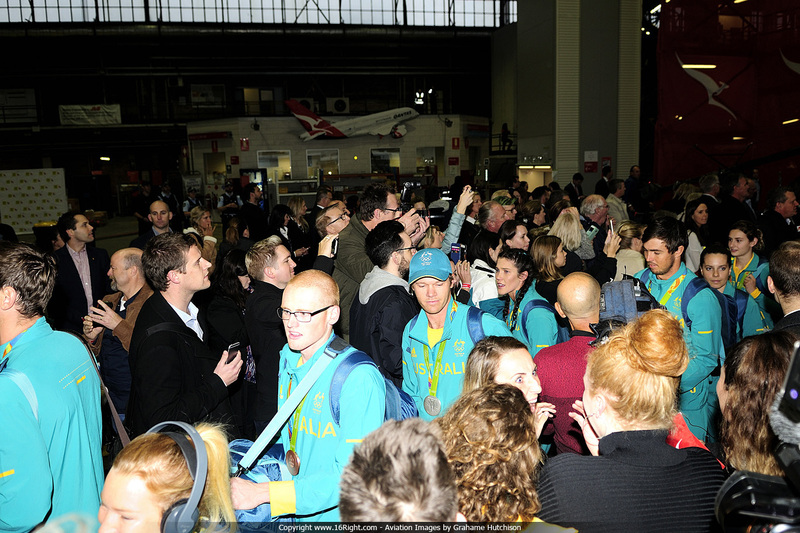 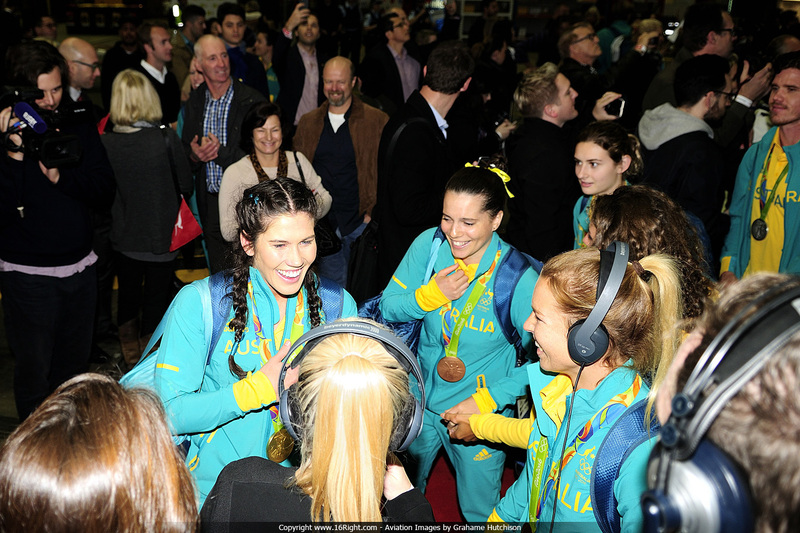 The Athletes exit the aircraft onto the red carpet, to meet their family and friends. 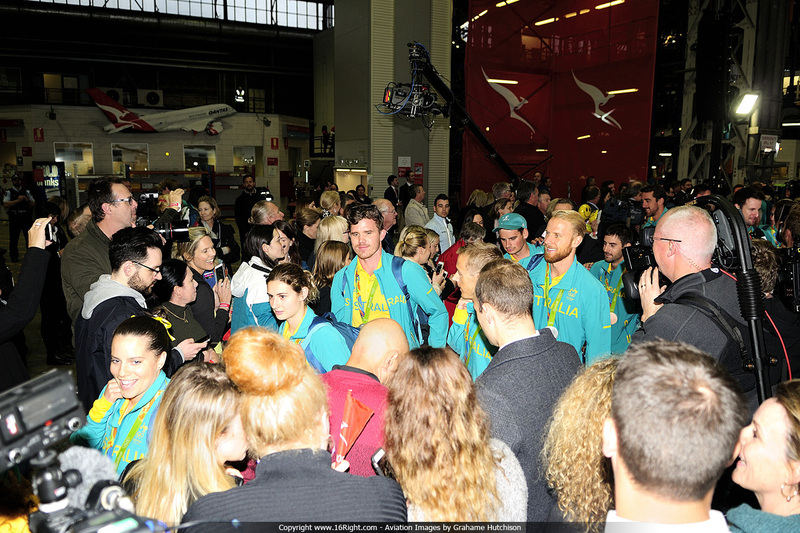 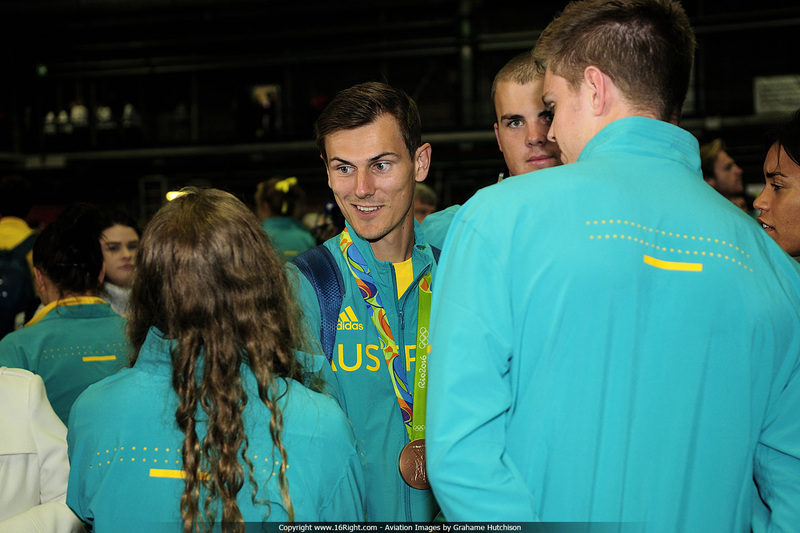 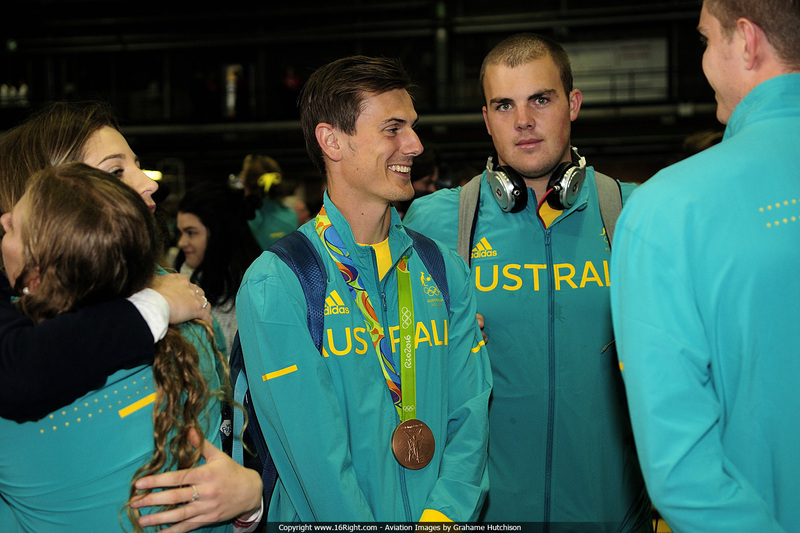 The atmosphere was emotional and exciting as the Athletes meet their family and friends. 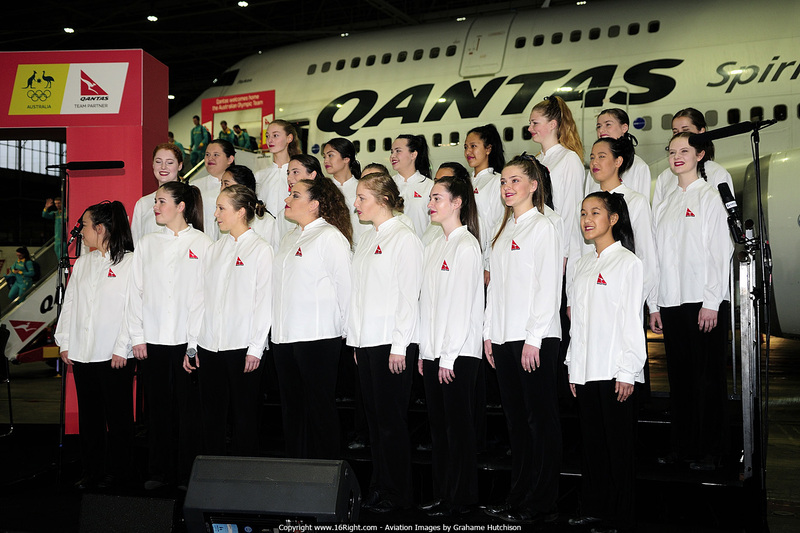 The Australian Girls Choir sang "I Still Call Australia Home". 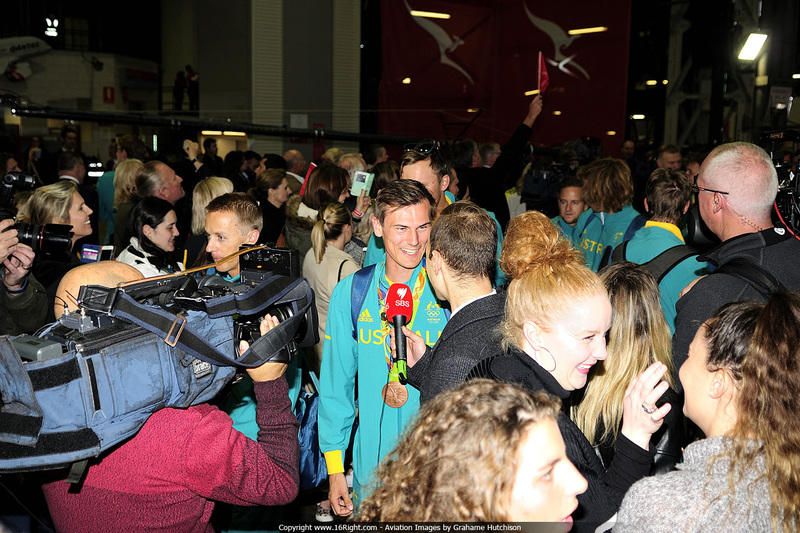 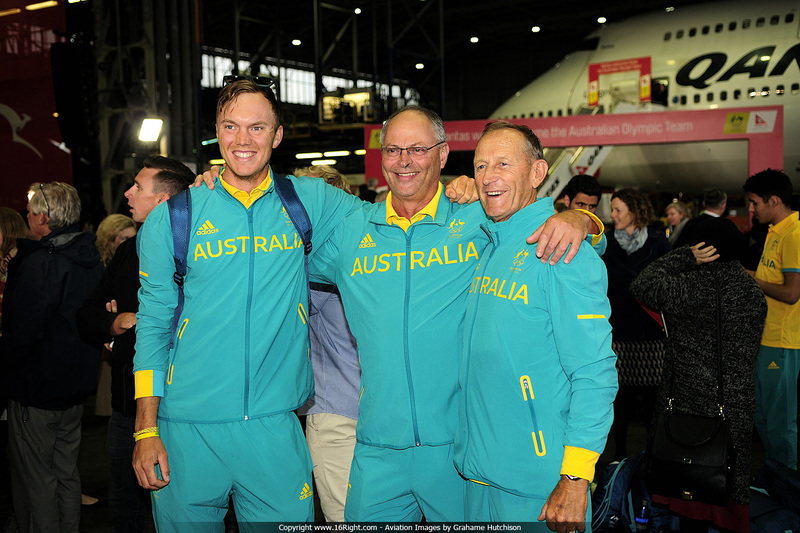 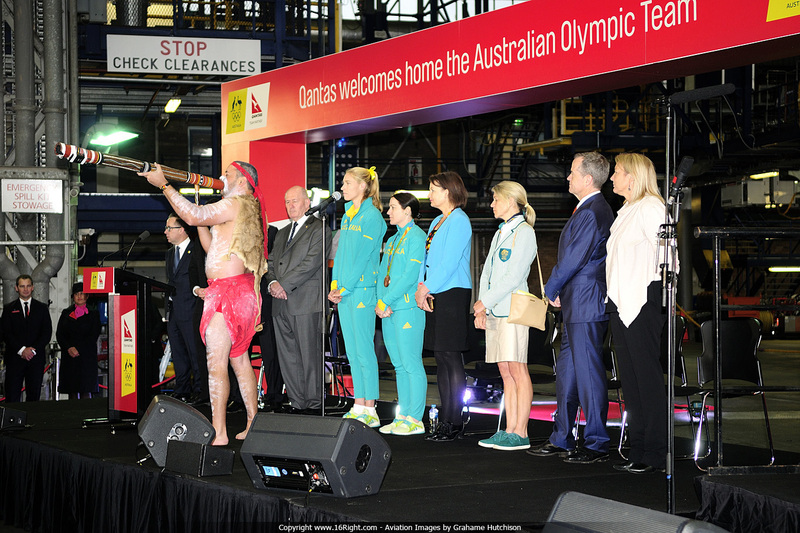 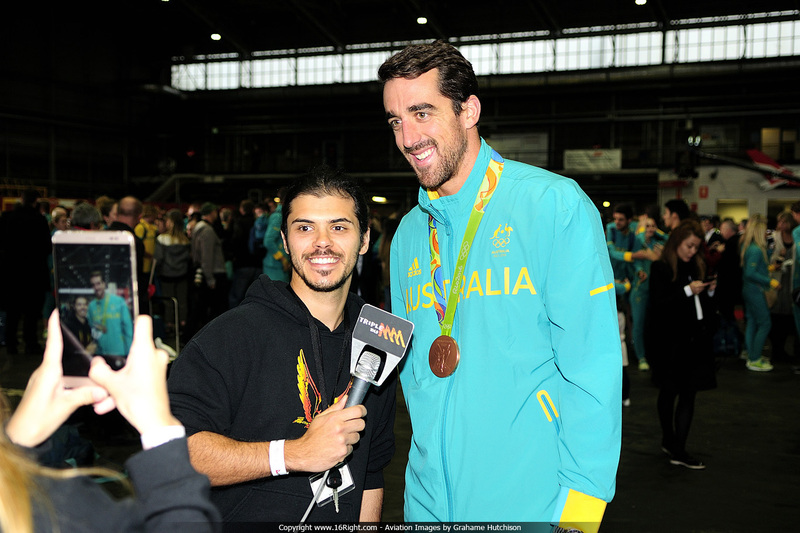 Following the Australian National Anthem sung by Jessica Mauboy, and a "Welcome To Country" by Gadigal Elder Uncle Charles "Chicka" Madden, Qantas CEO Alan Joyce, Governor General Sir Peter Cosgrove, and Prime Minister Malcolm Turnbull each welcomed the Athletes home. 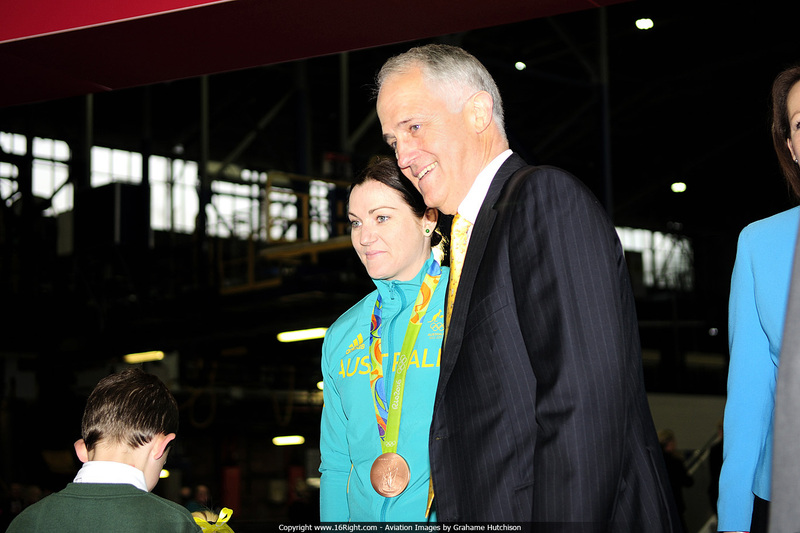 Prime Minister Malcolm Turnbull with Australian Flag-bearer Anna Meares. 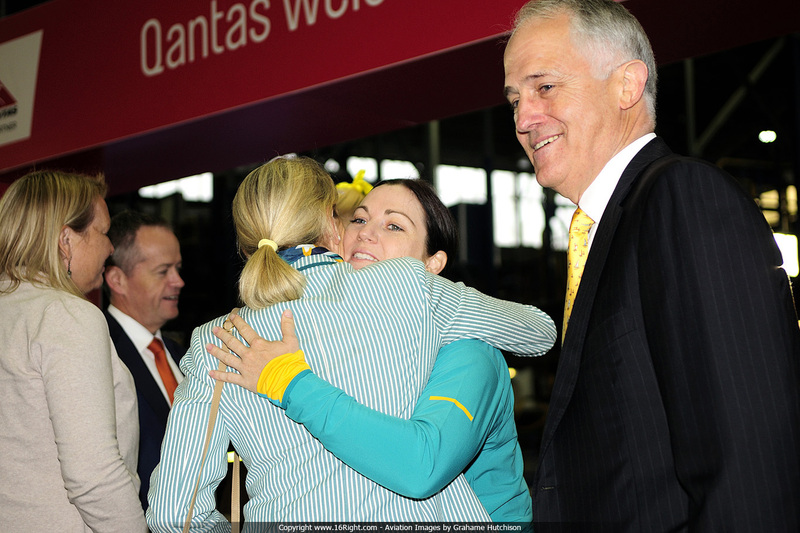 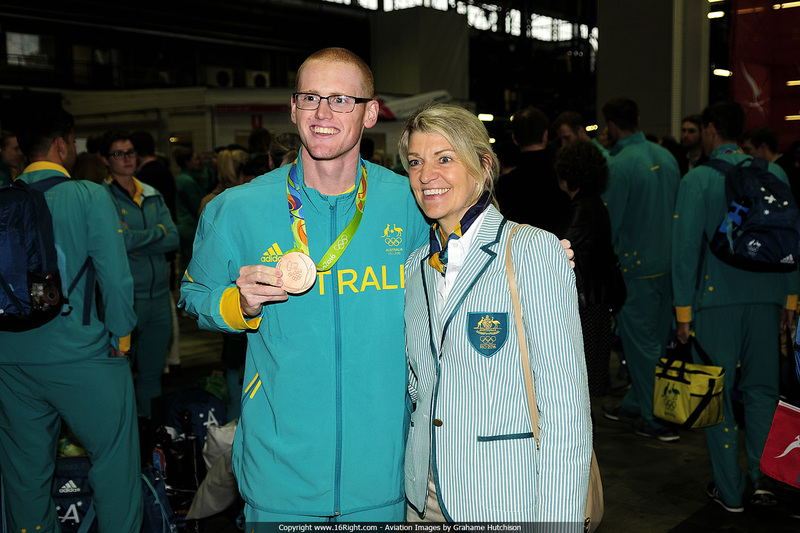 Australia's Chef de Mission, Kitty Chiller, and Anna Meares embrace after the Welcome Ceremony. 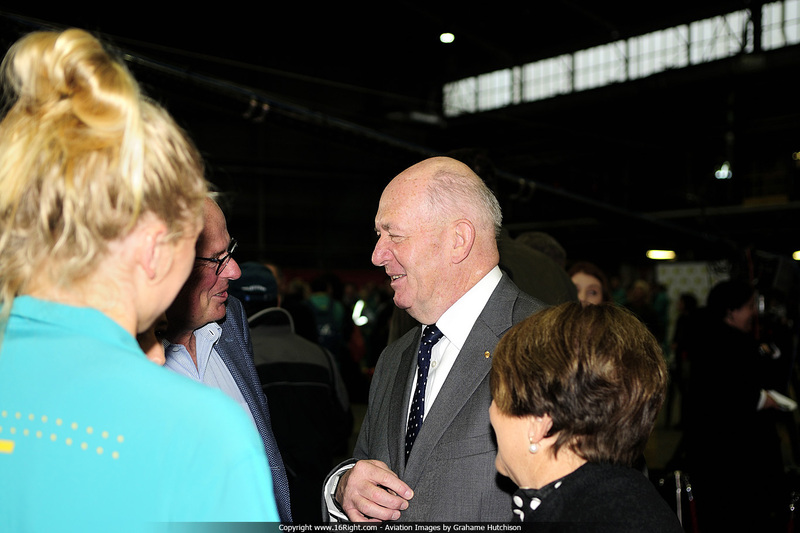 Governor General Sir Peter Cosgrove talks casually with the Athletes. 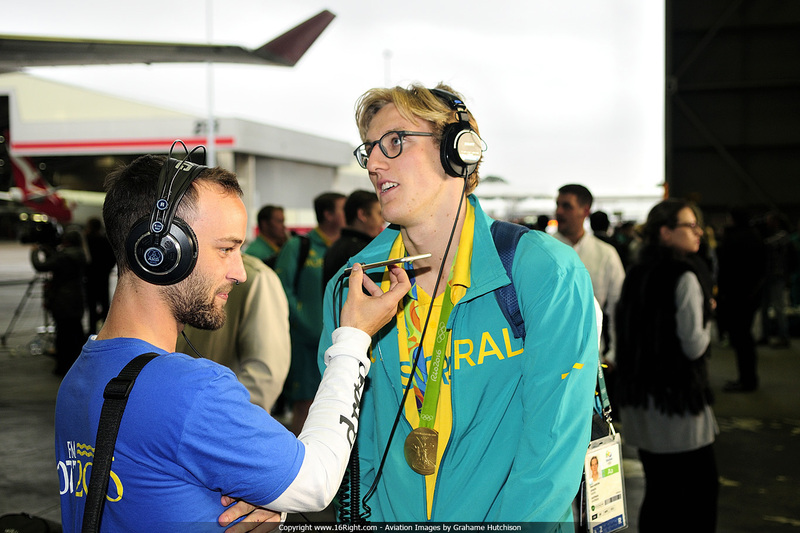 Mack Horton, Olympic Gold Medalist in the Men's 400m Freestyle, speaks with listeners on a live Youtube feed. 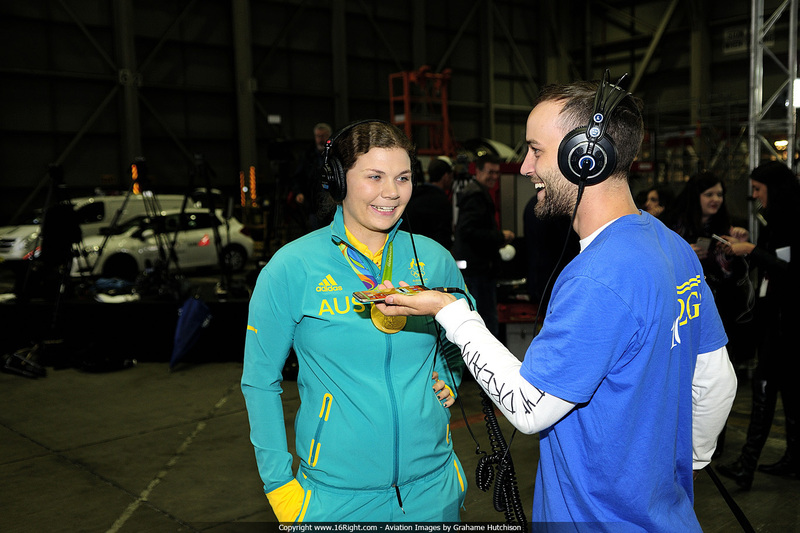 Catherine Skinner, Olympic Gold Medallist in the Women's Trap Shooting, speaks with listeners on a live Youtube feed. 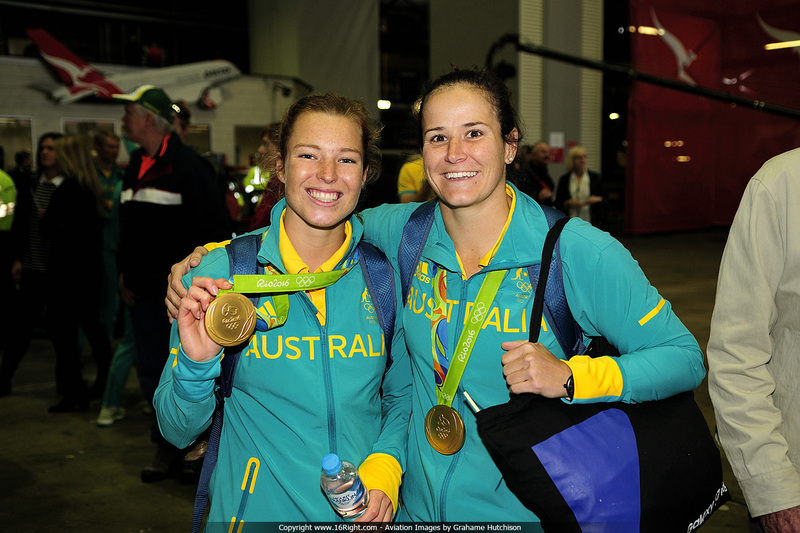 Emma Tonegato and Shannon Pary with their Women's Rugby 7s Gold Medals. 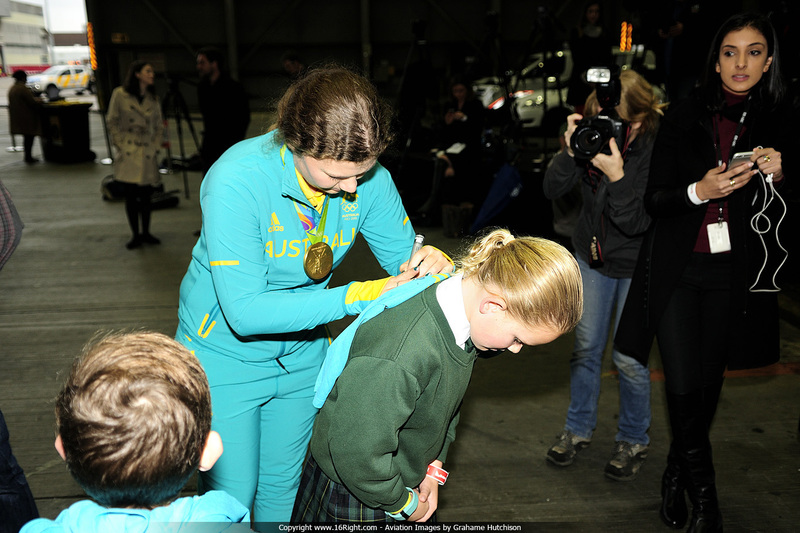 Catherine Skinner signing Tee Shirts for young school children. 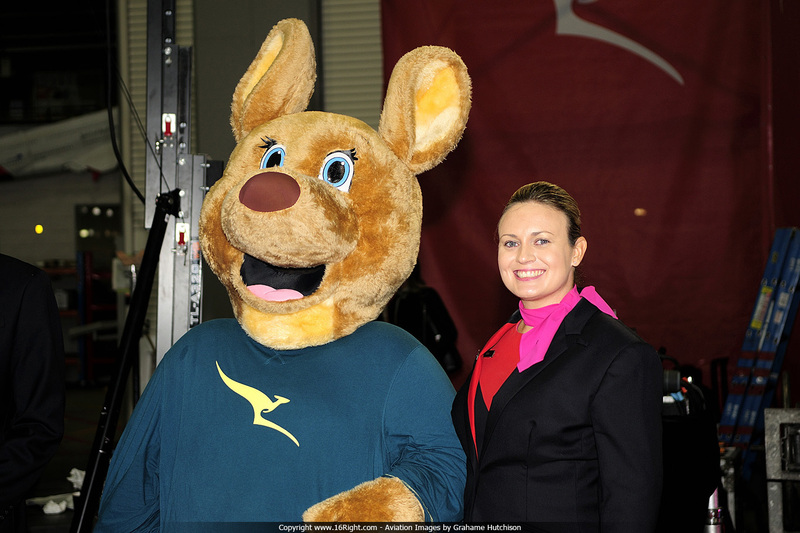 Chef de Mission Kitty Chiller. 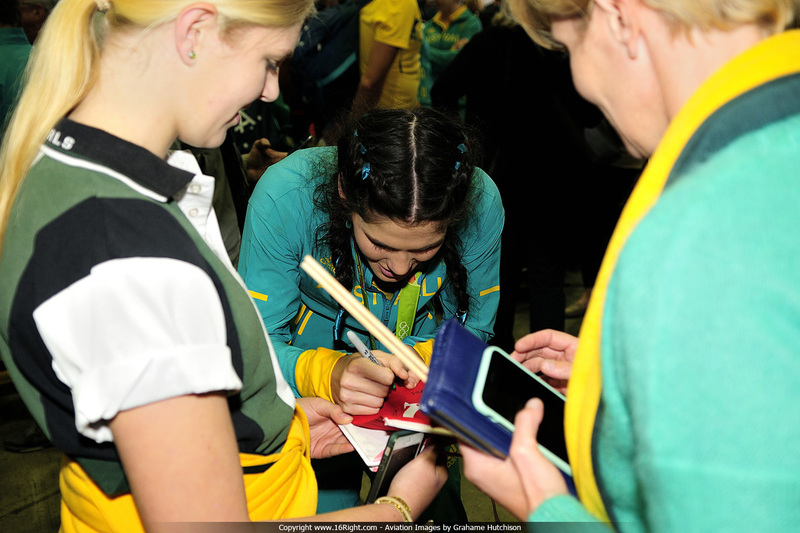 It was great to see the Athletes signing autographs. 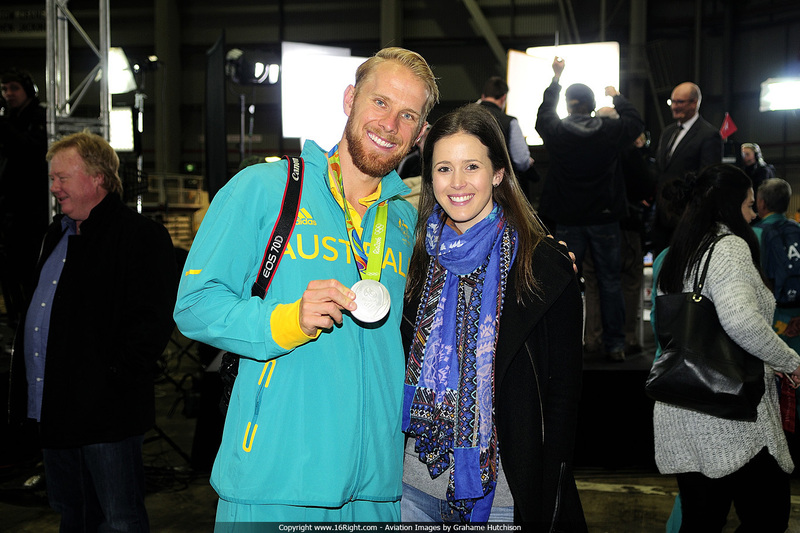 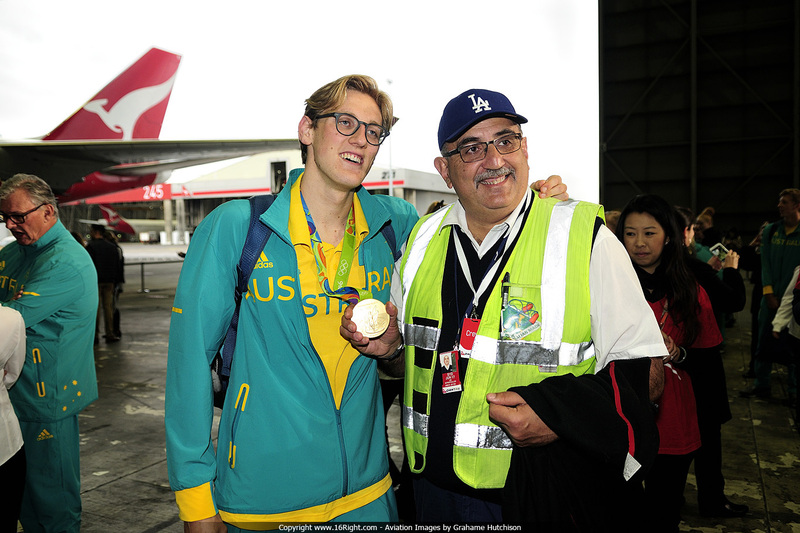 Mack Horton with a Qantas staff member at the event. 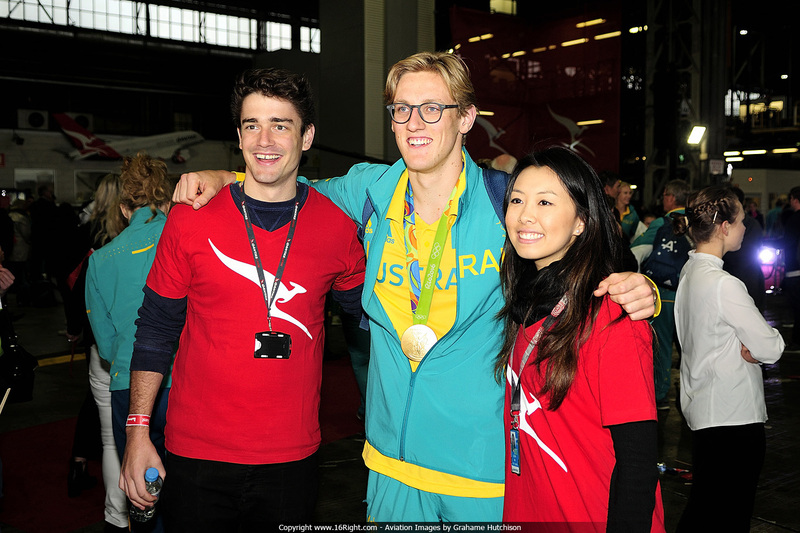 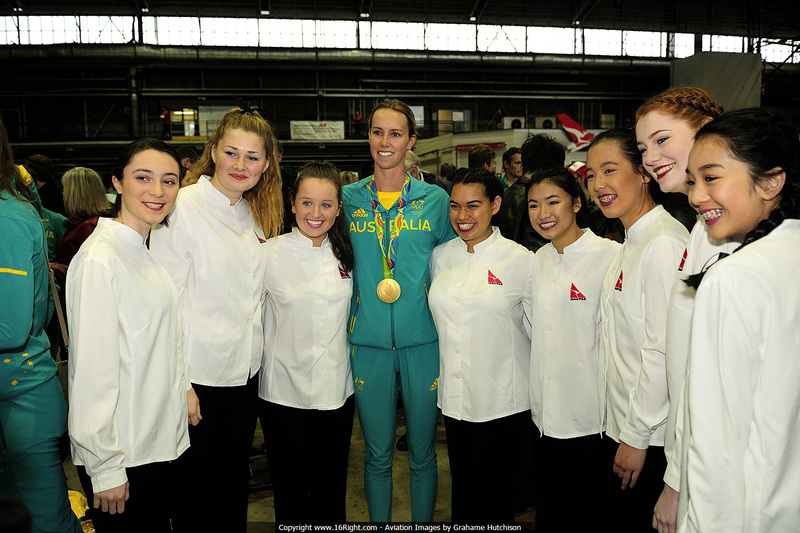 Mack Horton with Qantas staff at the event. 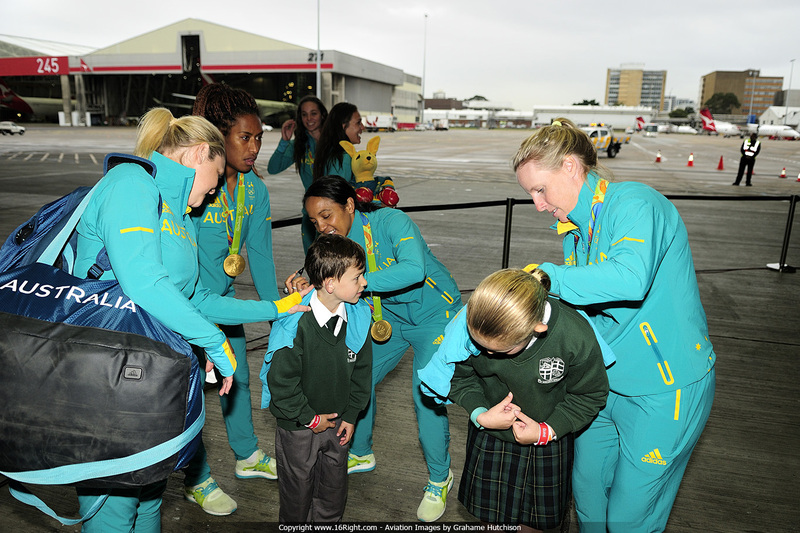 Women's Rugby 7s Team Gold Medalists signing Tee Shirts for the school children. 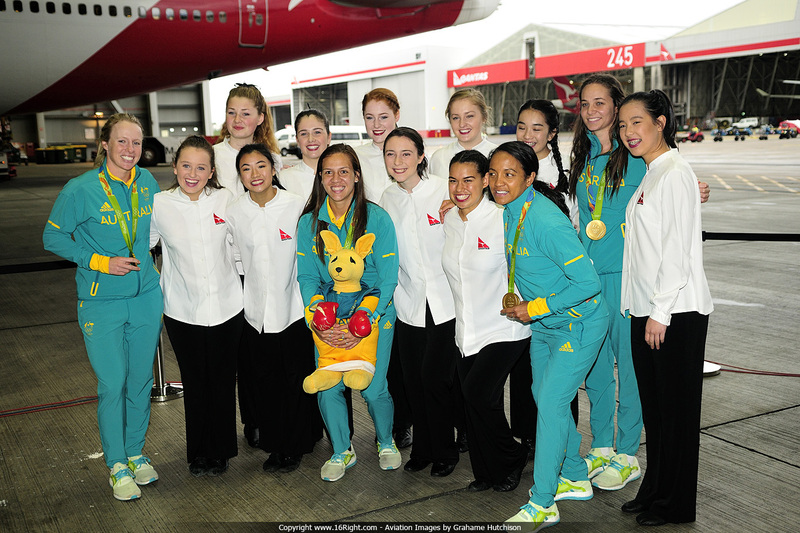 Women's Rugby 7s Team Gold Medalists with the Australian Girls Choir.